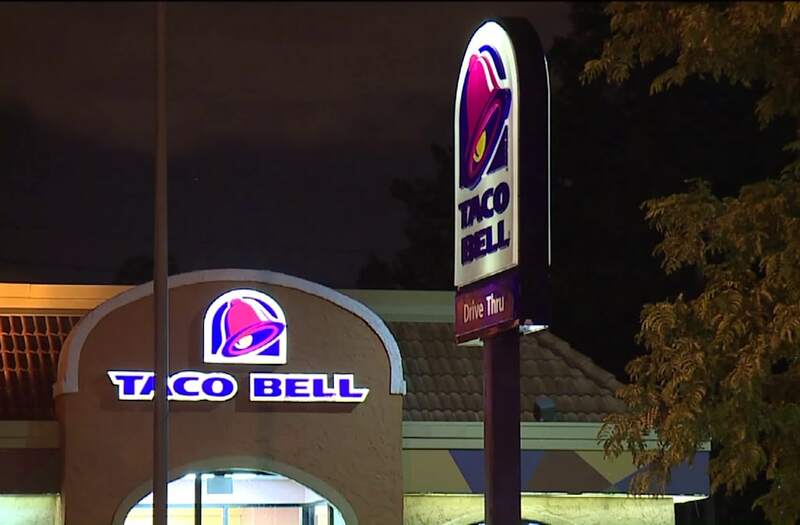 CLEVELAND – Three employees at a Cleveland Taco Bell shot and killed a suspect during an attempted robbery, according to police. Officers responded to the restaurant on W. 117th street at 2:45 a.m. Wednesday morning for a report of a robbery with shots fired. Three employees at a Cleveland Taco Bell shot and killed a suspect during an attempted robbery early Wednesday morning, according to police. When police arrived, they found a suspect with multiple gunshot wounds. Officers administered first aid until EMS arrived. The suspect later died at MetroHealth Medical Center. The medical examiner later identified the suspect as 24-year-old Cleveland resident De'Carlo Jackson. Another man, believed to be Jackson's accomplice, had already taken off by the time officers arrived. Police say a preliminary investigation indicates that three Taco Bell employees, all armed, shot at the two suspects after they came into the restaurant wearing masks and ordered the employees to the ground at gunpoint. A spokesperson for Taco Bell told WJW that the location is a franchise store, and gun policy is at the discretion of the owner. Police continue to investigate and it's not yet clear whether or not the employees will face any charges in the shooting. No arrests had been made as of Thursday afternoon.